So the other day my offspring insisted we go to Petco! I really don't care for animals. and I super really don't care for pets. They poop and pee whenever and whenever they feel like it. I almost... just almost had mercy on my children at Petco and bought them a tree frog the other day. But they wanted $19.99 for the stinky little thing! 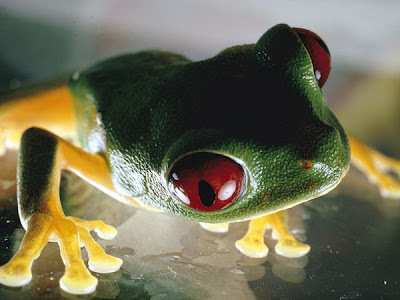 When I was growing up I had no less than 5 tree frogs. I'd have to scour around for crickets and bugs just to keep the thing alive. This one time I went to Brian Head resort with my Grandparents and I took the dang frog with me! I was like 10 years old..and the trip was so stressful because I couldn't find a bug ANYWHERE! His poor little belly was all sunken in and he was so hungry. I think he died as soon as we got home. So tragic! Seriously. I also grew up with like 15 different dogs and 8 turtles, 2 parakeets,ducks,rabbits,Russian hamsters, a mouse name peanut,a snail, a goldfish that my brother cut in half with a butter knife and then put it back in the bowl..... and who knows what else. I found more dead animals than I care to remember. It was my lot..if a animal was to die it was me to find it... hanging by its leash in a window well, trapped in a window well under the deck, drowned in a swim pool, lifeless in the bottom of its cage.. You name it! Since its nearly impossible to house break a dog it was inevitable that the dogs that didn't die would eventually go right back to where they came from. "The Humane Society of Utah"
It was heartbreaking as a child . This post has been therapeutic for me! I really don't want to do the "pet" thing with my kids. I don't think it teaches them enough to make it worth it. I've never found joy in a pet...just sadness. I shan't go "there" with my children anytime soon. "Look LADY......we want a big stinky gross smelly shedding dog"
and I'll eventually give in cause I love them. For now we will remain pet less.. I really wanted to get that off my chest. Mom..this has nothing to do with you.really.. love ya..